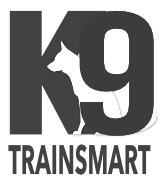 TrainSmart™ is another of the K9 Smart™ Programs offered by The K9 Centre. This program allows you to enjoy the social atmosphere of a group dog training class with the extra focus on behaviour solutions as well as structured exercises from basic to advanced obedience training. If the thought of getting outside and practicing your dog training in a public setting appeals to you then the TrainSmart™ Program is the best option. We specialise in dealing with problem dogs and our classes are formatted so dogs with serious behaviour issues have the opportunity to learn new skills and not end up in the pound or abandoned. What happens during a TrainSmart™Program? Your group TrainSmart™ Program will run over 4 lessons. The lessons focus on each individual dog problem in a group setting. We are unique in this practice as most dog obedience groups ten to leave the real problem dogs to the side. What are the benefits of our TrainSmart™ Program? Exposing your dog to stimulus from other dogs while learning. When done correctly this can be a powerful training environment. Constructive feedback from other members of the group. Positive and improves your scope of learning. Fast paced exercises that put you in a situation to push yourself in a safe environment. Fun and social. Who doesn’t need some of that every now and then? Confidence builder for you so you can hit the streets with your pooch knowing you can control it no matter what you face. How do I organise to attend a TrainSmart Group Program? Simply phone The K9 Centre Call Centre on 1300 CALL K9 (2255 59) and leave you details and your local trainer will contact you to discuss your training requirements.